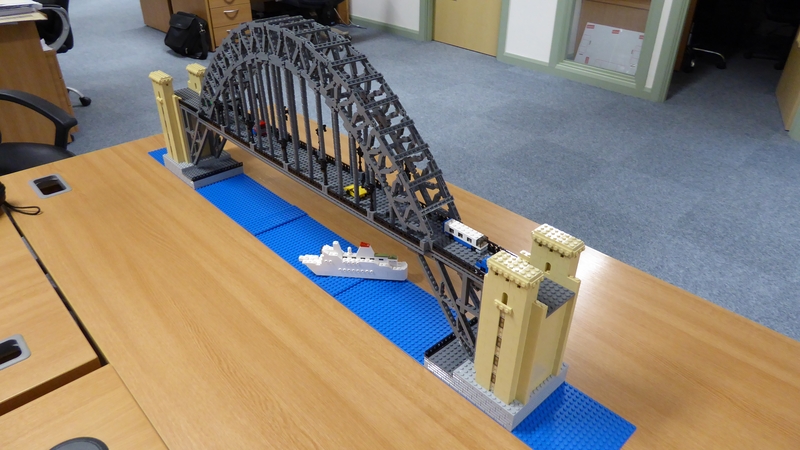 Along with all the cathedrals in the UK releasing sets, here is another non-lego lego set from NE1 based in Newcastle. I thought this would show up here eventually. It's a very impressive build but I think it would sell better if they'd chosen a smaller scale. Certainly I don't have the space for a bridge that size--if I ever had, I'd have already bought Tower Bridge, and still wouldn't have it now! If the boat is supposed to be the Tuxedo Princess it is far too small. I agree with @sklamb that the scale is a bit too large, probably the only way they could get the detail of the girders right. It does look very good but you would need a fair bit of space for it and £295 is a lot of money. Auf wiedersehen, Pet! They could have added some fog on the tyne, too. I'm finding this trend for large LCP sets a bit odd...I get that the average person will likely only hear about the one in their area, but the average person is really unlikely to spend so much on LEGO. So the pricing and the 'limited edition' type labelling seems more likely to appeal to AFOLs, but why would an AFOL buy this over say 10214? I can understand the large churches a bit better as there isn't an official equivalent and there is unlikely to be one in the foreseeable future. I can't help but think it's the people commissioning the sets not using common sense, I guess they might sell a few to local enthusiasts, or locals (maybe even the odd local business) who want to support a cause but I can't imagine 500 people spending £295 on something that's so locally based. Not wanting to sound harsh but I think most people outside of the area seeing the model would more likely assume it to be the Sydney Harbour bridge. my only real guess is that those commissioning them find out they can only get 500 of them (as per the LCP rules imposed by LEGO) and think 500 x £295 is better than 500 x £20. 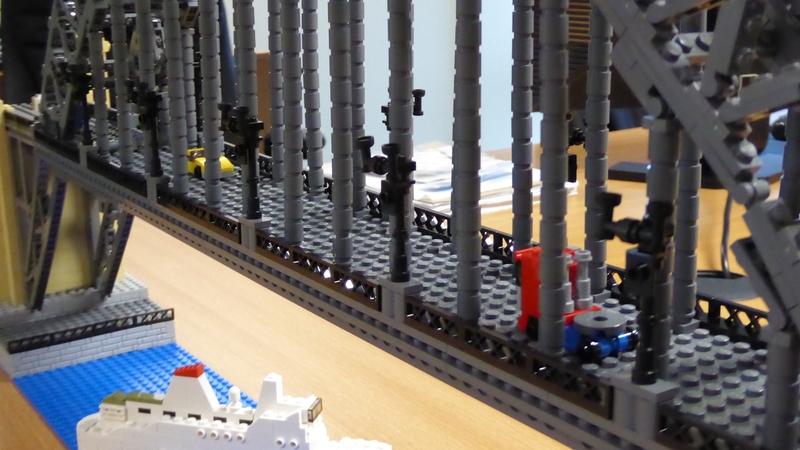 Don't get me wrong, I love the LCP sets, my Fairy Bricks set is one of the prized parts of my collection, but that cost £20, is far more displayable (seriously how many non-FOLs are going to dedicate over a meter long area to display a model of a bridge?) and is still an eye catching conversation piece. I really hate local newspaper websites. Full of flashing video adverts, slowing down the site and making you want to close it, with more adverts spaced every two lines, which you have to scroll past - slowly, because they're slowing down the page. In addition to that, this one also has one of those 'answer the question about this advert to read the rest of the article' adverts. No. F*** off. I'm just going to close the page instead. From what I could see of the model, it looked quite good, although probably not something I'd spend £300 on. If they do an Angel of the North, I might buy in. 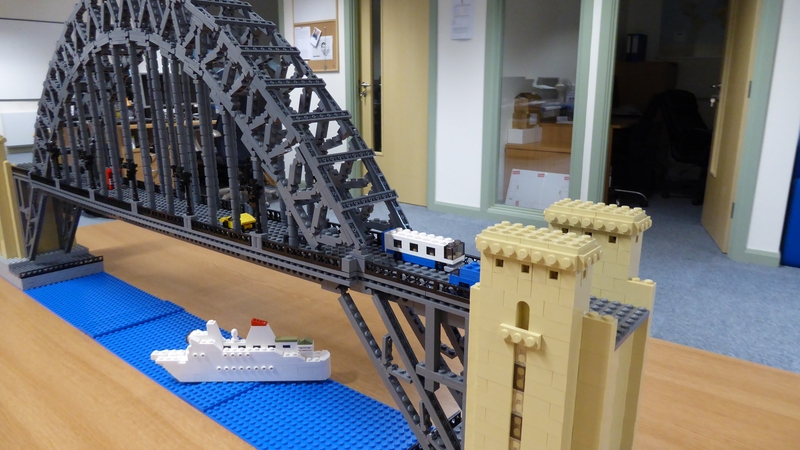 Just built the Tyne Bridge model. Got 1 of the 1st 50 that went on sale before xmas. I had to build it at work as it is too large to build at home. I cannot see, because of the complexity of the span, that it could have been much smaller. I can honestly say it was the most complex build I've done bar none. 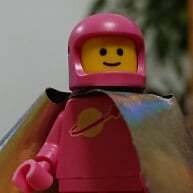 (I'm an experienced AFOL and built lots of Mocs, modulars and technic models). The instructions, which is an A5 ring bound colour printed set, were extremely poor, with errors and very poor quality images and print. Some pages I had to guess what parts were required and where they fitted. If you are an afol from the north-east it is a must have. However, if you have no connection to the north-east I would think you wouldn't find it interesting enough to spend £299 on. I've also built the latest Durham Cathedral model which cost £199. Again superb model..if you have interests in the north-east. Not so much if you don't. It looks very thin to me for the span it has. If that really is the Tuxedo Princess, maybe they could supply some scratch and sniff stickers that smell of Spew (revolving dance floor in a drinking venue requires a strong stomach after 12 pints!). Just a few images to give you an idea of size and shape. Wouldn't mind one of those, if it were half the size, maybe using droid arms for the struts in the arch faces, and something closer to the proper colour (a green-blue, more green than blue). Colour 141 is probably the closest when the sun isn't beaming off it, something between 141 and 151 would be spot on. What's your impression of it, having built it? Very impressive looking set--the microscale cruise ship and motor vehicles certainly help give it a sense of scale! OTOH making a Brooklyn Bridge out of two of the upcoming Spiderman set seems a more reasonable project for a Yank like me...easier to incorporate into a minifig-scaled layout as well. Thank you for sharing your pictures and impression, @TheBernician ! The answer to whether they'll sell is they currently only have 30 left of the 250 sets.